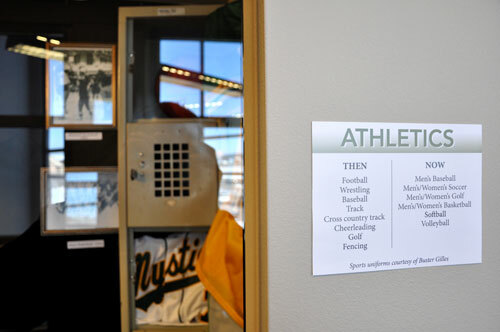 If you’ve never been to the Career Academy to check out the Graphic Design and Communications Program on the third floor, here’s your chance to mosey on over. 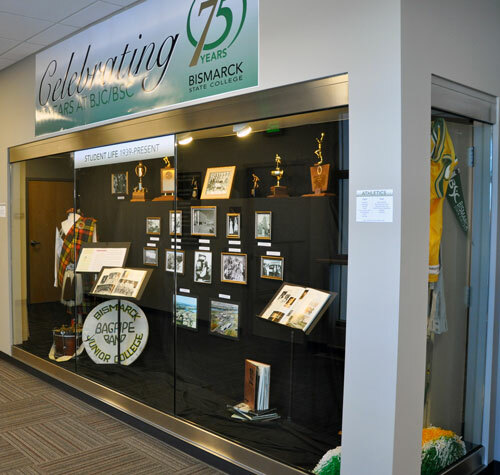 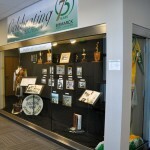 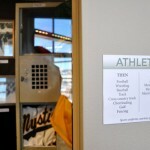 The Sophomore class has designed and built two display cases based on Bismarck State College’s 75th year of existence. 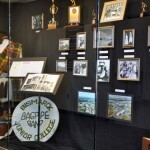 The displays are based on two themes: “75 Years of Student Life” and “How the Logo has Changed” over that span. 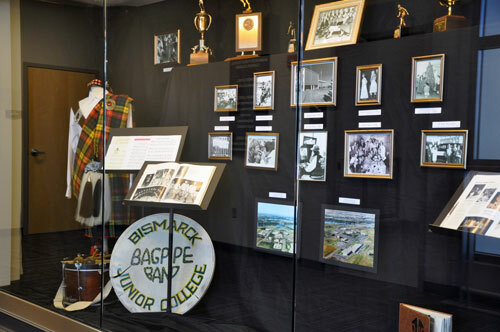 The displays will be up through September of 2014, so there’s plenty of opportunity to stop by and learn about BSC’s rich history.